In heavily populated urban areas, growing space is where you can find it. In areas where space is taken up by residences and businesses, individuals and families have to find unique ways to produce fresh produce, whether it’s in pots on their balconies or in their apartments. Where you once saw gardens growing in vacant lots next to buildings, you can now find soilless farming on rooftops, as more and more individuals take to the skies to grow their vegetables. To take it one step further is to incorporate the use of hydroponic systems, with no need for soil! Alternatives is an international organization based out of Montreal, Canada, and has promoted the use and conversion of unused spaces such as rooftops, terraces, and balconies into usable green spaces. In particular, Alternatives promotes the use of rooftops as gardens, especially in urban environments. By utilizing these unused spaces, we can produce foods that are affordable, ecological, participative, and easily transferable. These urban production systems are a unique way to deal with food insecurity, especially in urban environments where you typically would not have access to fresh produce. 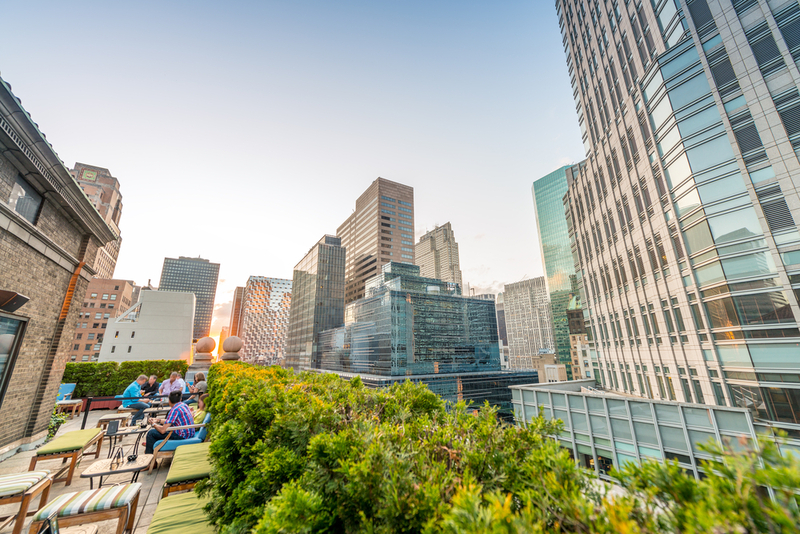 Rooftop gardens in Manhattan, New York. Image via PisaPhotography. An example of soilless farming in the sky, a commercial practice can be found in New York City in the West Village. 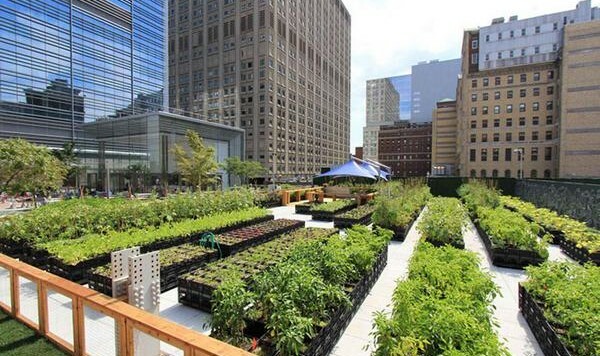 A local restaurant, Bell, Book & Candle, uses their restaurant’s rooftop as a growing space where they produce a large portion of their fruits, vegetables, and herbs – and all without the use of soil. Bell Book and Candle’s Chef, John Mooney, produces two-thirds of the vegetables that the restaurant requires to serve their customers. Mooney utilizes vertical towers that relies on hydroponic systems which provide the plants with food and nutrients. 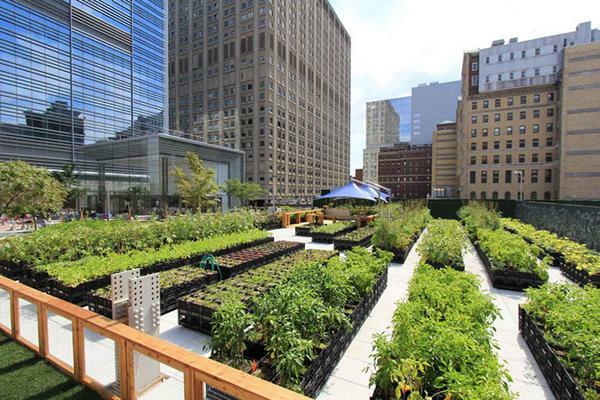 Featured Image: An array of rooftop garden beds located in a dense urban area. Image via PHG.